Analysis: A 2017 second-round pick, Anderson spent his first two NFL seasons providing depth behind 16-game starters Smith and Ryan Kerrigan. The 24-year-old has just 32 tackles (18 solo) and two sacks across 356 snaps on defense and 308 on special teams, but he did have 8.5 sacks his senior season at Alabama. The Redskins would be wise to bring in some competition for playing time. Anderson (hamstring) finished the 2018 season with 18 tackles (seven solo) and two sacks in 13 games. Analysis: Ryan Kerrigan and Preston Smith dominated playing time at outside linebacker in Washington's 3-4 scheme, leaving mere scraps for the likes of Anderson (163 defensive snaps) and Pernell McPhee (203). Selected in the second round of the 2017 draft, Anderson could have a much larger role in 2019 if the Redskins aren't able to re-sign Smith. Anderson (hamstring) is inactive for Sunday's season finale against the Eagles, Kareem Copeland of The Washington Post reports. Analysis: Anderson battled through the hamstring injury last week at Tennessee but won't be available for Week 17. Pernell McPhee remains to serve as a reserve outside linebacker for the Redskins Sunday. Anderson (hamstring) is questionable for Sunday's game against the Eagles, Kareem Copeland of The Washington Post reports. 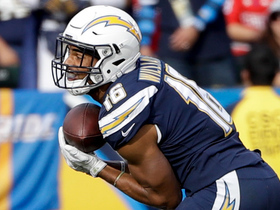 Analysis: Anderson was able to return from the hamstring injury and play Week 16 at Tennessee, but he remained on the injury report as a limited participant this past week. The 24-year-old hasn't seen more than 22 defensive snaps in any game this season, so his potential absence is unlikely to be a major factor. Anderson (hamstring) is active for Saturday's game against the Titans. Analysis: Anderson will return from the hamstring issue that sidelined him the previous two games. The 24-year-old has topped 20 defensive snaps only once this season and should continue in a rotational role at outside linebacker versus Tennessee. 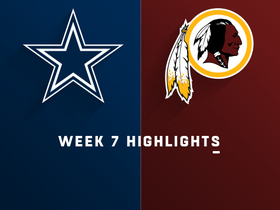 Anderson (hamstring) has been ruled out for Sunday's matchup with the Jaguars, John Keim of ESPN.com reports. Analysis: Anderson missed last week's game against the Giants with this injury as well. The Alabama product sustained the injury Week 13 against the Eagles. If any player is going to get more work in Anderson's absence, it's likely fellow outside linebacker Pernell McPhee. Anderson (hamstring) is ruled out for Sunday's game against the Giants. Analysis: Anderson suffered a hamstring injury during Monday's loss to the Eagles, and he will sit out Sunday's divisional tilt against the Giants as a result. The second-year linebacker will work to get healthy in time for Washington's matchup against the Jaguars in Week 15. Anderson is questionable to return to Monday's game against the Eagles with a hamstring injury. 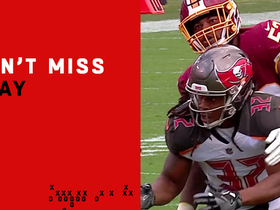 Analysis: Anderson exited the game in the second quarter. Josh Harvey-Clemons and Zach Vigil could see additional work as long as Anderson is out. Anderson (knee) is listed as active for Sunday's matchup against the Falcons, Kareem Copeland of the Washington Post reports. 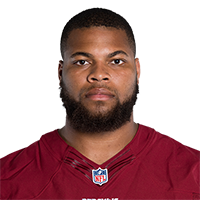 Analysis: Anderson will not be sidelined Sunday after suffering a minor knee injury during the Redskins' Week 8 win over the Giants, but he's slated to serve primarily on special teams. Anderson (knee) is questionable for Sunday's game against the Falcons, Kareem Copeland of The Washington Post reports. Analysis: Anderson sustained the knee injury in last Sunday's win over the Giants and was a limited participant at practice this week. The 24-year-old has yet to exceed 16 defensive snaps in a game this season, playing a larger role on special teams. Los Angeles Chargers quarterback Philip Rivers fires a pass to wide receiver Tyrell Williams for 20 yards.